It was a cold, snowy winter night on Christmas Eve. The lights outside the house were glowing with cheer and the tree inside was decorated with shiny ornaments. The small space underneath the tree was left intentionally empty, Santa needed room to put our presents you see. Anticipating his arrival, I took the liberty to leave a small plate of milk and cookies on the table by the tree. It was the least I could do, after all this man had presents. The build up to Christmas had been as magical as ever, there was truly something special about this time of year. Everyone was a bit more cheerful, the decorative lights on each house brought the entire neighborhood alive. My brothers and I woke up Christmas morning with all the excitement in the world. Jumping out of bed, I ran to the living room and saw the presents marked "from Santa" nestled comfortably under the tree. I glanced over to see the remaining crumbs Santa left in the cookie plate and the empty glass of milk and smiled at the success of our "business transaction". It was a pleasure doing business with you Mr. Claus, I thought to myself. More recently I asked my parents why they humored us those few years of Christmas celebrations and their response was simply, "We didn't want you to feel left out." Looking back, I don't remember the gifts as much as I remember our family coming together to enjoy a beautiful time of the year. I remember the celebration of Christmas paving the way for our parents to teach us about Islam and Ramadan. I believe that this parental upbringing is what made me the man I am today. I grew up learning to love and respect different faiths and their traditions without compromising my own. I learned that celebrating with someone else during their holy time doesn't diminish your faith, it strengthens it. It adds to the belief that there is something greater than all of us and regardless of religion, we are all in this together. To paraphrase from the Quran, if God desired us to be one people of one faith, we would be. Our differences are a test. Would we choose to celebrate our similarities and respect our differences, or would we force our way of life on one another and live in turmoil? I hope all communities of faith rise to this challenge and year by year, holiday by holiday we can learn more about one another and break down the invisible barriers that divide us. This Ramadan, I invite everyone from all faiths to reach out to us with any questions they may have about Islam or about our holy month. Bassel Riche is a American entrepreneur living in Houston, Texas. He is the co-founder of EidPrayLove, an organization aiming to share the peaceful teachings of Islam through active social and interfaith initiatives . Their first global campaign was #Muslims4Lent, a solidarity campaign that encouraged Muslims to make a sacrifice to show support for the Christian community during the 40 days of Lent. 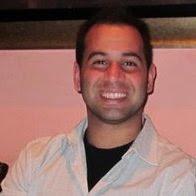 He is also the founder and managing partner of Yoursolemates.com, specializing in portable accessories. Check out EidPrayLove.com and follow @EidPrayLove to learn more!